Home / Blog / Rent 2 Own Homes in Charleston WV – what’s the catch? In the real estate market today, it is very tempting to follow through on one of those ads in the local paper or on Craigslist that are practically screaming the great deal of rent 2 own homes in Charleston WV WV. You can read horror stories all over the internet about how some tenants were strung along thinking that they were paying a higher percentage than what they actually were for their future home among other factors with this option.Ask the seller!Recent federal laws have made providing “down payment credits” from your monthly rent very hard… if not illegal in some areas and situations. Usually the monthly rent on a rent to own house in Charleston WV is a bit higher than the monthly rent on a non-rent to own house (because you’re paying for the chance to purchase the house at a pre-determined price which ties the seller down as well). So just make sure to ask the seller if any portion of the rent is able to be contributed toward the purchase price if you do decide to purchase the house when the option is up. This will be depend on the agreement. It can really vary.Generally, you as the renter are responsible for general maintenance and upkeep… and for minor things (the first few hundred bucks in a repair). But if it’s a larger repair that wasn’t your own fault… often times the house seller / landlord is responsible for the remainder of the repairs after the first few hundred. Again, this varies with every seller.If you’re working with us on looking for rent 2 own homes in Charleston WV… we’ll walk you through how our rent to own program works and answer any of your questions anytime. Again, any reputable Charleston WV WV rent to own house firm like A&M Investments will help give you resources and connections to help you increase your credit score while you’re renting the home from us.This may include a referral to a reputable and honest , Charleston WV mortgage broker… credit counselor… or even our own internal guidance along the way may be an option. Of course we realize that many of the tenant buyers who work with us on getting into a Charleston WV rent to own house have bad credit. That’s OK. We’re experienced in working with that situation.But as always, we have to protect our investment as well and we’ll only work with a tenant buyer if you show that you’re committed enough today and a safe enough bet that you’ll consistently pay the rent on time and have a great chance of actually qualifying to purchase the home when the option agreement is up. 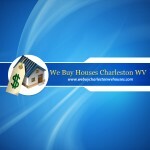 So, your next step may be to dive in and see available rent to own homes in Charleston WV WV right? Our rent to own houses in Charleston WV tend to get snapped up fast… so be sure to get on our list and open the email alerts we’ll send from time to time when a new rent to own house becomes available. Also, if you’d rather chat with someone about our program or about your situation… call us anytime at (304) 900-3701 or shoot us an email through our Contact Page.